Spirit guides will step in when necessary to nudge you to move in a certain direction where the most benefit for your soul’s growth exists. They will not live your life for you. You’re not a puppet on a string that they’re controlling. They are like any good best friend who taps you on the shoulder to get you to notice something important, but it’s not their burden to carry if you fail to detect it. They can put the same repetitive cues in front of you to get you to see something, but there’s nothing more they can do if you’re not paying attention to it. If you don’t make moves and go after what you want, they are not going to do it for you. If you don’t have the confidence to go after what you want, then confidence gaining skills is one of your life purposes to master. Avoiding an action step towards making something happen is something you must learn to overcome and master. in paperback and e-book wherever books are sold. The physical life is challenging to navigate when you’re stuck in a physical vessel having to do physical chores day after day with no end in sight. It takes work and discipline to get to that space where you are truly comfortable with life inside and out. This is where you have been blessed enough to be able to create the life you’ve always dreamed of. Having those dreams is a great start, so don’t let anyone squelch them or tell you they’re impossible. Derive pleasure out of the things you love the most. Don’t allow any stress or negativity to override this pleasure. This also means avoid engaging in anything that’s going to bring you misery. Focus on the good and the uplifting. Go after what you want without reservation. The happier you allow yourself to become, then the healthier you are. This equates to a longer more fulfilling, passionate, joyous life. This is what every soul wants and deserves. Let’s talk about the message of judgement. Back in the archaic biblical days the men brought this woman to Jesus and said she’s been arrested for adultery and was caught in the act. By the laws at that time she must be stoned to death, because that was considered a serious crime back then. They’re testing Jesus too, because they know if he agrees with them, then he goes against God’s true teachings of forgiveness, love, and compassion. If he disagrees with them and says let her go, then he goes against the human law too, and can be committed for conspiring. How is he going to get out of this one. Just like that he’s satisfied by those sides. Jesus was basically telling them you’re all in no position to be passing judgement. Passing judgement is one of the greater sins that continues to happen today, everyday, all day long, everywhere. It never stops. Many people cannot seem to get through one day without passing some kind of judgement on another. We have this rising of the court of public opinion all over the social media channels and gossip sewing circles. When according to Jesus, you’re not qualified to be passing judgment. You have no credentials in that department. Look at what’s in your own closet and clean that up before concerning yourself about someone else. With the malefic planetary transits moving further away from the chaos of March, it’s time to move forward fearlessly again. Take immediate action and start making things happen this month. The planets are now in your favor holding the door open. There is no doubt involved, because the second you doubt, then you negate or delay the prayer manifestation process. When I was 23 I was hired by a well-known movie star that got me into the film business, which doesn’t happen for many 23 year olds. I still get asked how I got in and got noticed. The answer is always lengthy, but the quick response is that I believed I would. Doubts never entered my mind. I knew I was going to get in and no one was going to stop me. I had zero experience, but I did have persistence, faith, and passion, which attracted in all the right people that opened that door, which was no accident. Those are the same ingredients I continue to use today that have brought in success. If there’s been anything I wanted to achieve or accomplish, I would break the door down with a sledgehammer and jump on in fearlessly full of faith. One of the greater human sabotages comes from fear. Fear breeds out of the ego, the part of you that gives you a sense of self worth. When left unchecked the ego will run uncontrollably initiating all sorts of chaos and drama. The ego thrives on drama and negativity. This is what gives the beast life. Fear is manifested from the darkness of ego the same way a female gives birth to its child. The repetitive words forever sift through your mind preventing you from taking action and getting to work. This creates a block that prevents you from going after what you desire. It is a block that forms a wall intended to disconnect you from the Divine. The Divine is where the answers, messages, and guidance reside in to help you travel down a smoother path while here. In the psychic worlds, the more something is hidden, then the stronger the spotlight hits it. Let that be a warning to the cheaters out there. 😉 Unsurprisingly, cheating is one of the easier things I see quicker than other things. Part of that is because someone is trying to desperately hide and suppress it. The more you try to hide something, then the clearer it is in the etheric worlds. From a personal view that’s not something enjoyable to see since it causes unnecessary negative feelings that can temporarily cripple someone’s life. They’re dead silent knowing it’s possibly something important, since they’ve had enough conversations with me to know the circumstance tends to transpire the way I thought it already did. Many believe psychic gifts are bestowed upon select chosen ones, while others don’t believe in the craft at all. The reality is every soul is born with heightened psychic gifts and capabilities, but somewhere along the way those senses have dimmed. All are capable of being a conduit with the other side, including those closed off and blocked to it. 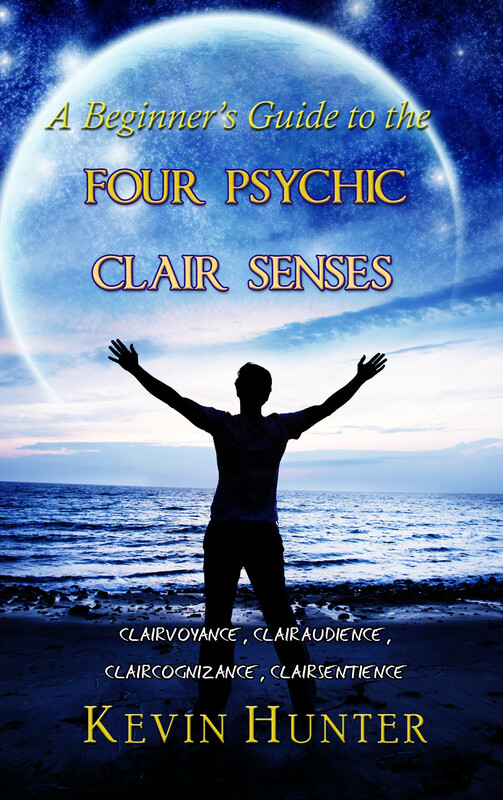 The Four Psychic Clair Senses illustrates what the core senses are, examples of how the author picks up on messages, how you can recognize the guidance, and other fun metaphysical psychic stuff. You are a walking divination tool that allows you to communicate with Spirit. 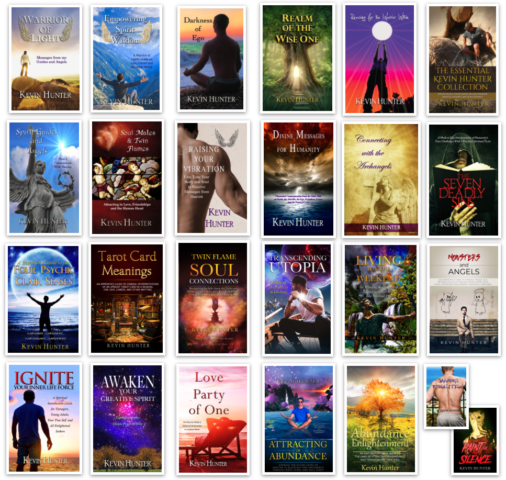 The clairs enable you to receive heavenly messages, guidance, and information that positively assist you or another along your Earthly journey. Read about the four core clairs in order to pinpoint what best describes you and how to have a better understanding of what they are and how they work for you. March has been an intense ride this year, as I warned it would be a month ago. We’ve got another week to go in this tumultuous energy where revelations of both wanted and unwanted have been coming to light. Pushing forward is still warned against, since that will only be met with frustration and disappointment. Challenging times is what builds character. You don’t grow much when things are going great. Out of challenges comes blessings. You’ve got one more week to continue laying low, then you can rise up ready to forge into this next chapter. April is expected to be lighter and more prosperous than March. Some wrestle with anxiety due to their heightened sensitivities to the stimuli around them. Those with higher traits of anxiety, tend to be more in tune, psychic, or intuitive than other souls. They absorb more than the average person absorbs, and for that matter need to adopt a strict disciplined routine that is aligned with their personal equilibrium. Use your emotions to your advantage, since they house communication receptors with the Divine. What feels like a curse is actually a gift, but like all gifts there are challenges that need to be managed. Getting out into a nature setting to re-align and re-charge always helps. I took this photograph with this post while out in the Mojave Desert in California. Getting out into a nature setting can assist the soul in reaching that level of awakening. It is far easier for Spirit to access someone when they’re in a calming environment such as a nature setting. Many purport to feeling much calmer after taking a stroll in nature. I’m a fan of all things connected to nature, which includes the deserts and badlands with its dry terrain and extensive geological erosions that cast into a breathtaking color display of volcanic rock, canyons, and mesas. Those areas have always proven great escapes to commune with my higher council through the winds as the sage Native American Wise Ones once did in massive numbers across North America. All that remains are the clues left behind in entombed sediments of extinct fossils of tribal skulls and dinosaur-like creatures that no longer roam the Earth, but whose presence is profoundly felt. Everyone experiences some form of fear at some point if not on a regular basis. Most anything fear based isn’t real. It still doesn’t stop you from conjuring up fear about what will or will not come. It’s a matter of recognizing fear, looking it in the eye, and then running it over not allowing it to consume you. Fear is the opposite of faith. Fear starts with a false thought from the ego, and then the soul follows willingly believing it. It takes time and practice devoted to training oneself to ignore the fear and walk in faith. Your vibration is made up of undetectable cells to the human eye. These cells fluctuate and change colors depending on your mood, your thought processes, who you surround yourself with, as well as what you ingest into your body. Your vibration is an invisible energy field that exists within the DNA of your soul, aura, and physical body. You are in control of this vibration energy field. It is up to you to oversee this vibration energy and dictate how well you would like it to function. It’s the same way you control other parts of your life such as the car you drive, to the house or apartment you live in, and so on. When you maintain your car, then you ensure it runs smoothly with routine check-ups, oil changes, checking the tire pressure, etc. This is similar to you taking care of your physical health as best as possible from getting regular check-ups, to watching the diet you consume, exercising regularly, to your overall daily state of mind. Taking care of your physical body affects your spiritual body. It’s watching your thoughts and feelings to ensure they are on the positive side. All of this affects how bright or dim the energy field of your vibration radiates. The notes in my in-box have increased this week. Many feeling uneasy, anxious, unsettled, and uncertain. This always increases during a Mercury Retrograde cycle, so I don’t need to say that I did warn about the March energy. We know the Facebook/Instagram outage got smacked hard by the Mercury Retrograde most of the day Wednesday (3/13/19). You just have to ride it out until things start moving forward into April. We’ll do a lighthearted post on love since there is enough darkness surrounding the planet as it is. When you have a mutual love with another person regardless of their gender, only then do you understand what God’s love can feel like. This essence of God’s love breathes life into your soul. It awakens and lifts you up to the most incredible euphoric high that is better than any drug or addiction. In fact, many who have been addicted to alcohol, drugs, food, or any other toxic vice have proclaimed to have lost interest in those addictions while in the throes of a beautiful mutual romance with someone else. This is partially because they’re receiving the Dopamine chemical rush through true love feelings, which can be an addiction in itself, but it is less harmful than putting toxic substances into your body.